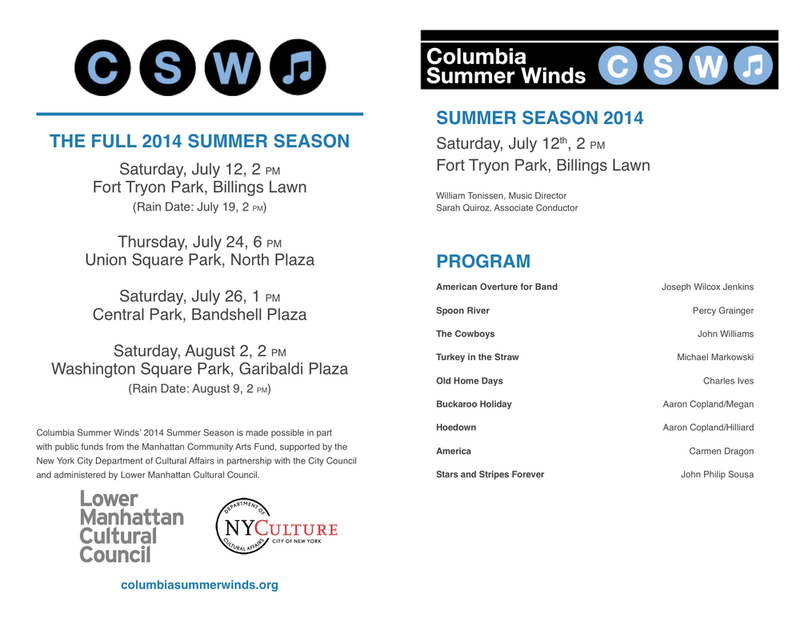 The Columbia Summer Winds offers four business card-sized advertisements on each of its four programs. This option is great for those who have small businesses near the parks in which we perform, would like to reach a wide community of musicians, or are interested in sending their message to hundreds of our audience members! CLICK HERE TO DOWNLOAD OUR INFORMATION SHEET ON ADVERTISEMENTS. To learn more about purchasing advertisements, please contact Manager Dahlia Weinger.